This is the first of a four-part series investigating the findings of "The State of World Fisheries and Aquaculture, 2016," a report published by the Food and Agriculture Organization of the United Nations. Part two, "Capture fishery production maxed out," appeared 19 February. Part three, "Aquaculture producing the most seafood for human consumption, report finds," was published on 20 February. Part four, "Seafood prices to remain steady even as global seafood trade increases," will appear on 21 February. 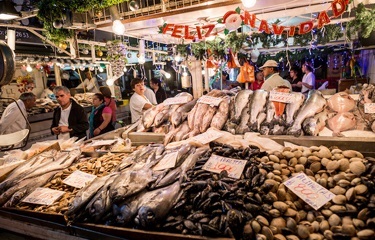 Often overlooked in the global marketplace, Latin America and the Caribbean may be worth a second glance after the Food and Agriculture Organization (FAO) estimated that the region will see the fastest increase in per capita fish consumption within the next 10 years. According to “The State of World Fisheries and Aquaculture, 2016,” consumption of fish is expected to grow in Latin America and the Caribbean by 22 percent between 2015 and 2025, moving from 10 kilograms per year per capita to 12 kilograms per year. Asia and Oceania are also expected to see rapidly rising seafood consumption, with a projected growth of 12 percent. In contrast, fish consumption in North America is expected to grow by just three percent in that period, and Europe’s will grow by less than seven percent, the FAO predicted.